The seldom seen and oft-rumoured Lawrence House "rear entrance." Lawrence House was a student residence located at the southeastern corner of the intersection of University Avenue and 16th Street, facing west. 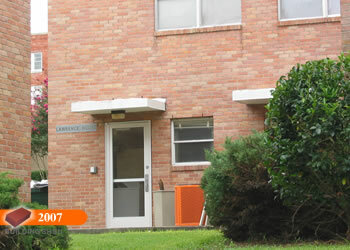 Residence Life classified the two-story small house as a part of the "King/Lawrence/Mitchell" family of housing. It was announced in October 2008 that both Lawrence and Mitchell houses would be razed to make way for a new dining facility. 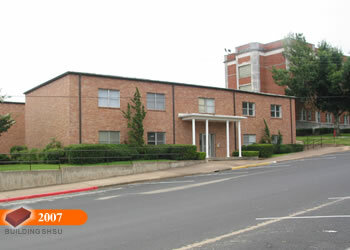 Both buildings were demolished in Summer 2009.